As a prerequisite for readmission to the international community of states, the newly founded Federal Republic soon officially recognised the Jewish victims and offered them at least material “compensation” for the injustice they had suffered. However, the genocide of the Sinti and Roma minority was denied for decades. The survivors were cheated out of due moral recognition as victims of the National Socialist “racial policy” and out of their compensation claims. Even the property stolen by the Nazis was not refunded, in most cases. Relevant authorities and medical experts did not deem the damage to health and the losses to careers and education suffered by Sinti and Roma to be a result of persecution. In this, they openly displayed their racist views – views that were in line with national socialist ideology. Many of the perpetrators, who were co-responsible for the genocide of our minority, were able to work their way up the ladder at public authorities or in the private sector without hindrance. The deportations of Roma and Sinti to the extermination camps were justified as supposedly “crime preventive” measures. This way of thinking influenced the verdicts of the highest German courts. Even in the academic world and at the former places of persecution, at memorial and commemorative sites, the genocide of the Roma and Sinti minority remained a marginal issue, one worth at most a footnote. This began to change only slowly, when those affected exercised their right to political organisation and founded the civil rights movement – it has been continuously drawing attention to their concerns with public events since the late 1970s. On 27 October 1979, the first international memorial rally to remember the genocide of the 500,000 Sinti and Roma in Europe took place at the former concentration camp Bergen-Belsen. Simone Veil, the first female President of the European Parliament, gave a speech at the demonstration. A Jewish child, she had survived the concentration camp, while her mother had been murdered there. 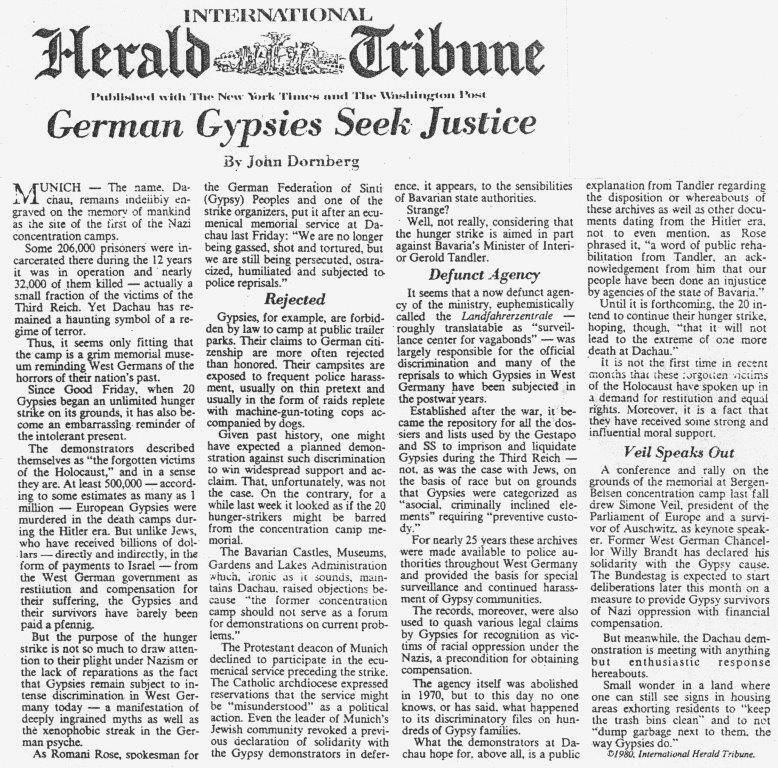 The hunger strike at Memorial Site of the former Dachau concentration camp that took place on the Easter of 1980 attracted attention in the media beyond German borders. The hunger strike was a protest against the racist special registration of members of our minority at the hands of judicial and police authorities, which was based on old files from the Nazi period and was, in some cases, carried out by former SS personnel. Among the demands made by the hunger strikers, two were of particular importance: the demand for official recognition of the Holocaust of the minority, and the demand for the initiation of proceedings to hold the still living perpetrators accountable for their crimes. The hunger strikers also called for Nazi records to be transferred to the Federal Archive. These records had been still in possession of “Race researchers” like professors Erhard and Arnold, who had held office at the Tübingen und Landau Universities at that time. The protest participants sought to end the misuse of these records documenting the genocide and called for authorities to resume the compensation proceedings for concentration camp survivors. 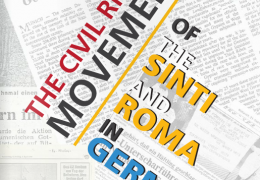 February 1982 saw the foundation of the Central Council of German Sinti and Roma based in Heidelberg. 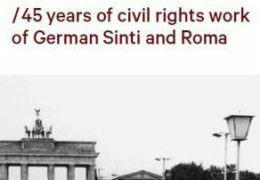 Since then, the Central Council – together with its 17 member associations (national and regional associations) – has represented the interests of the Sinti and Roma living in Germany at national and international level. 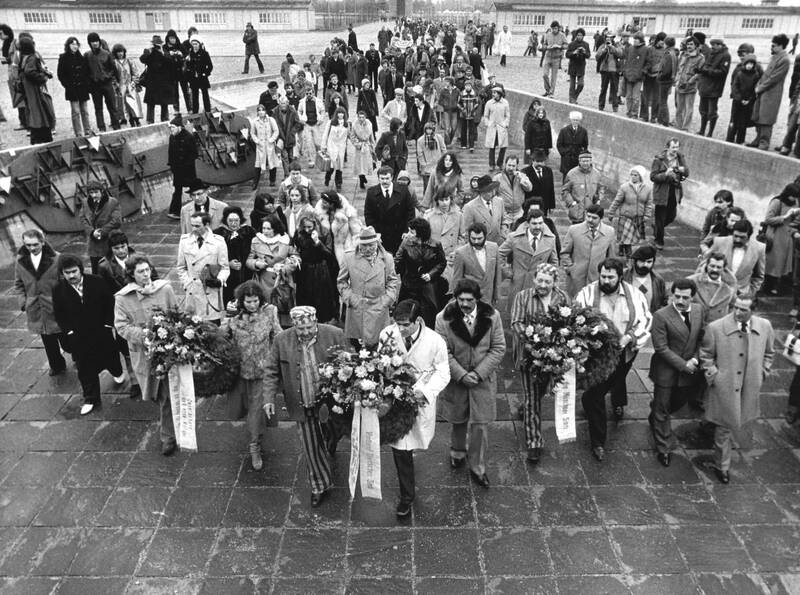 17 March 1982 was a decisive turning point in the civil rights work – on that day, the then Federal Chancellor Helmut Schmidt had received a delegation from the Central Council and had recognised under international law the Nazi crimes committed against the Sinti and Roma as a genocide on the grounds of “race”. Federal Chancellor Helmut Kohl, his successor in office, then reaffirmed this in the course of a parliamentary debate in November 1985. After more than 20 years of persistent civil rights work by the Central Council and the national associations, there has been a noticeable change in the way our ethnic minority is treated in various areas of society. This also applies to the question of reparations: Since the mid-1980s, the Central Council has been able to bring about a fundamental change in the previous discriminatory compensation practice of the German Federal Court of Justice on behalf of the surviving victims of Nazi persecution. It has also forced the competent authorities to revise decisions in several thousand individual cases for the benefit of the people concerned. 1990 Acquisition of the Documentation and Cultural Centre of German Sinti and Roma in the historic centre of Heidelberg. 1997 Festive opening of the Documentation and Cultural Centre of German Sinti and Roma and of the world’s first permanent exhibition on the genocide perpetrated upon the Sinti and Roma by the Nazis.